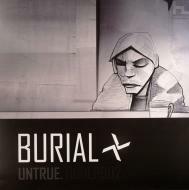 Burial's now classic album on 180g double vinyl, black inner sleeves and in a thicker card sleeve. It is updated to add the beatless atmospheric tracks that have always been integral parts of the complete CD versions. The Darkest Dubstep you've ever heard!